Exhibitions represent an exceptional vehicle to respond to the public's curiosity and stimulate its sensitivity. An exhibition is an event. This specifically means that it is something that, unlike a book, takes place. Limited in time, and with a challenging scenographic system (however modest the exhibition may be), an exhibition focuses on a point of interest to which the community addresses itself, precisely in its being a community. We rely on a long experience, which dates back to almost ten years ago, and which has been configured in very different ways with almost annual commitment. 2010. In 2009, the American embassy in Damascus asked us to set up an exhibition on the excavations in Urkesh. 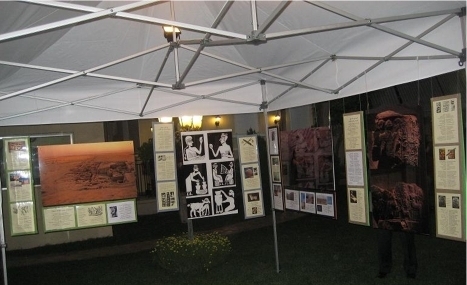 In 2010, the exhibition was exhibited in the ambassador's residence in Damascus for the celebration of the American Independence Day on July 4th. 2011. 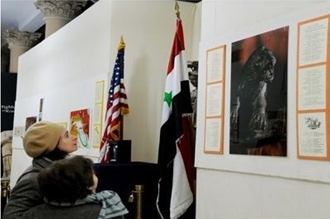 Slightly less than a year later, the same exhibition was exhibited in the National Museum of Damascus - the last event that saw the two flags side by side (March 2011). 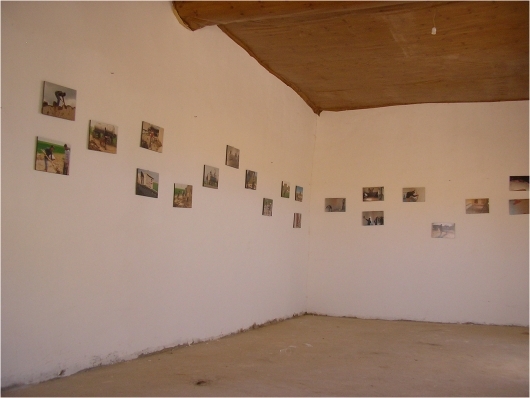 All the panels of the exhibition are accessible online at www.urkesh.org. 2014. Then came the great experience of the Rimini Meeting. A great exhibition, with the contribution of a new professionalism and an exceptional cultural framework within the Meeting. 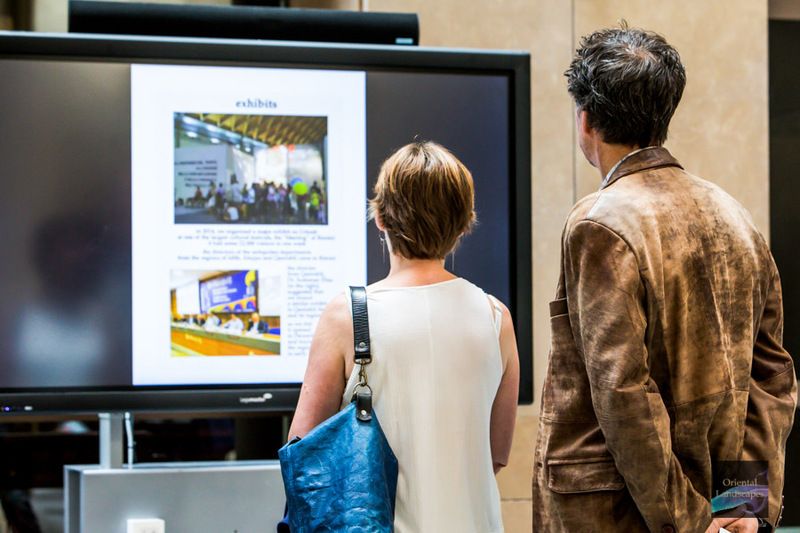 More than 22,000 visitors within a week, and conferences with guests from Syria. 2015. 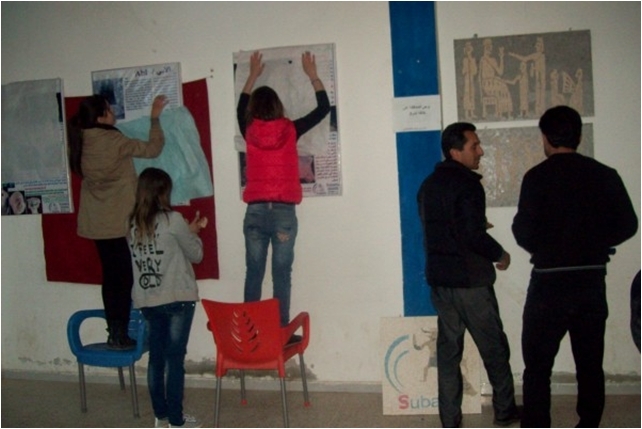 Encouraged by the Rimini exhibition, Dr. Elias of Qamishli brought a reduced version of the exhibition, in Kurdish and Arabic, to a city near Urkesh (Qamishli) and various other small cities: here we are in the "Center for the Renewal of Civil Society" of Amuda. 2015. 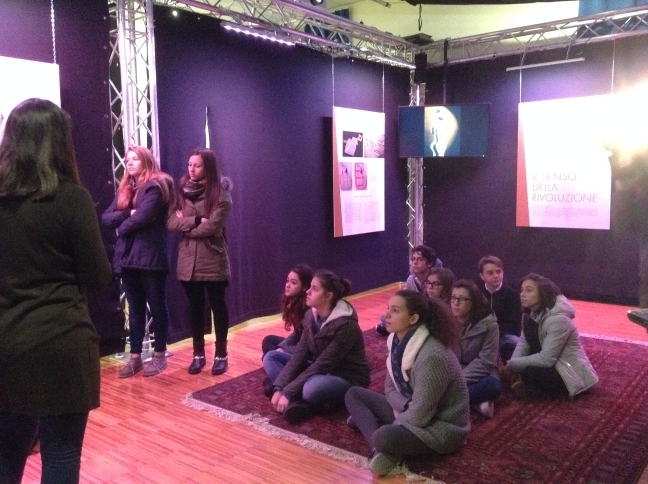 The Rimini exhibition arrives in an "traveling" form also in Domodossola, where it draws the attention of the public with a conference that fills the largest theater in the city, about 3,000 visitors, who mainly came from the surrounding school districts. 2016. 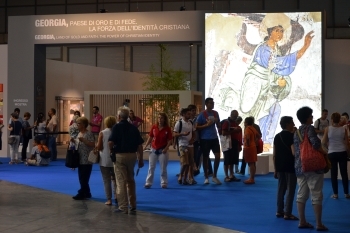 Another great exhibition at the Rimini Meeting on the millennial history of the Republic of Georgia, concentrated on the late ancient and medieval period, with a total of more than 12,000 visitors in a week. The catalog, quickly sold out and now reprinted, is also available online on our website. 2017. At the American University of Beirut, AVASA has dedicated an exhibition to our site during the six years of war. It was a particularly important event in light of the participation of Syrian colleagues representing various communities involved in safeguarding the country's cultural heritage. The entire material of the exhibition is available here (.PDF 2MB) and the catalog here (.PDF 4MB). In addition, you may read a detailed report on the full project. 2018. In Leiden, in the Netherlands, Urkesh has been the protagonist of a double event organized by the University of Leiden in collaboration with the associations "Ex Oriente Lux" and "Oriental Landscape Leiden". 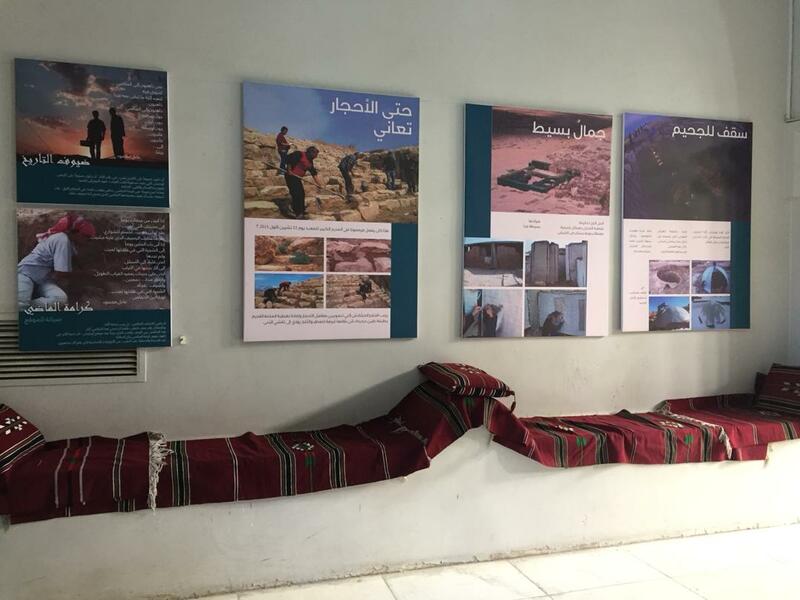 In this one-day event, entitled "Archeology for Peace", not only Urkesh has been presented as a paradigmatic example of a project that brings the local communities together, but we also set up an exhibition which included some of the panels already presented in Beirut, accompanied by new videos. 2018. Starting from the material presented at the Beirut exhibition, greatly expanded and enriched in its contents, AVASA has organized a new exhibition that has been set up for the Rimini Meeting in August 2018. Entitled "Millennia for today", it included new audios and videos, as well as a few objects that have been especially sent from Syria. 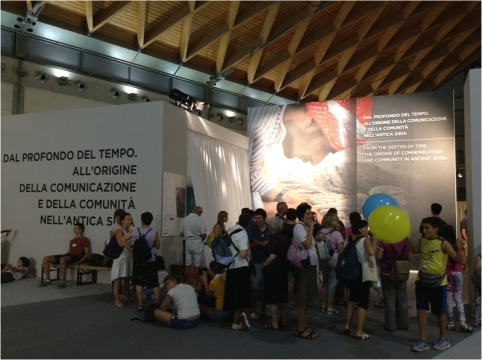 Numerous collaborators of AVASA were also present in Rimini, to meet visitors and share their experiences. 2018. 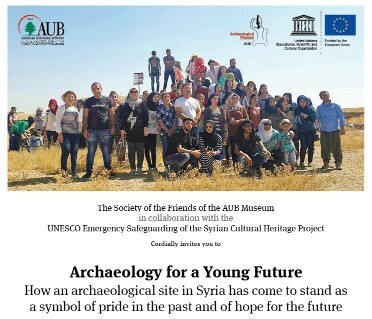 AVASA has been invited to actively participate in the reopening of the National Museum of Damascus, after seven years of closure due to the war. So we decided to present a fully translated Arabic version (catalogue included) of the exhibition "Millennia for today", previously set up in Rimini. A report of the event is available at this link .